On Monday, December 18, 2017 in the annexed Crimea, the occupation "courts" held a number of meetings on administrative cases against the Crimean Tatars. 65 activists were fined for participation in one-person pickets which took place on October 14, 2017 in protest against the repression of Russian law enforcement officers against Crimean Tatars. The amount of fines is mainly 10 thousand rubles (about 170 USD), in some cases - 15 thousand rubles (about 255 USD). "Trials" of participants in one-person pickets in the Crimea were held in the cities of Belogorsk, Sudak, Alushta, Simferopol, Dzhankoy, as well as in the Sovetsky, Simferopol and Krasnogvardeysky districts. According to the public organization Crimean Solidarity, 65 meetings were held and the “courts” filed indictments against all the persons involved in administrative cases and fined them from 10,000 to 15,000 rubles. 5 people were fined 15,000 rubles. 60 people are fined 10,000 rubles. 5 administrative protocols in the city of Feodosia were returned with the suggestion for revision to the police. The final amount of fines imposed on Crimean Tatars throughout the Crimea for participation in one-person pickets as of 23.00 pm on December 18, 2017 was 675,000 rubles (about 11.500 UDS). Still, 15 more court hearings lie ahead. 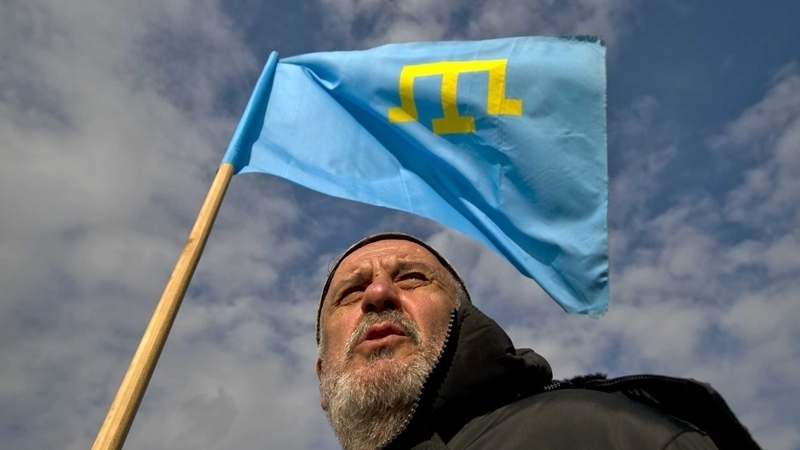 QHA reported that on December 18, the so-called "Judgment day" took place in the Crimea, the day on which 70 court sessions were scheduled against Crimean Tatars, who came out with one-person pickets throughout the peninsula, protesting against the persecution of Muslims in the Crimea. In some courts, only 15 minutes were given for consideration of each administrative case. Later, people massively received protocols, accusing them of violating the rules of holding public events. One-person pickets in protocols are called unauthorized mass action. Reportedly, the Ministry of Foreign Affairs of Ukraine associated the actions of Russian invaders in the Crimea with the upcoming voting in the UN.